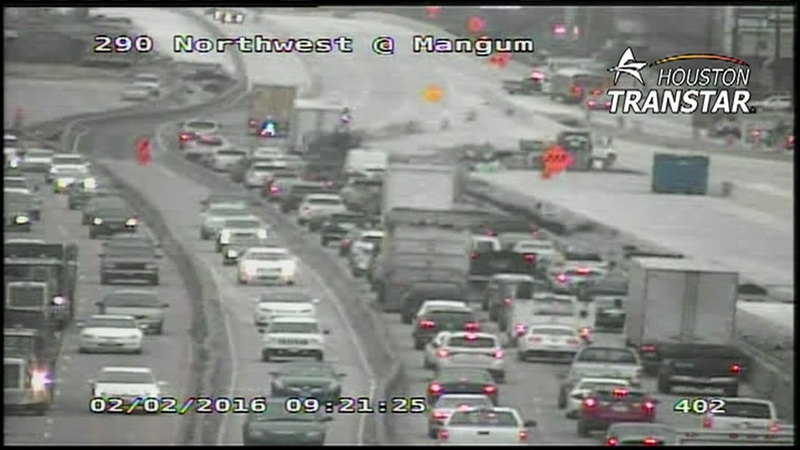 HOUSTON (KTRK) -- An accident involving two vehicles is blocking all lanes of State Highway 290 westbound at Mangum Road. Traffic is stopped across all lanes of traffic. Drivers should seek alternate routes.